The British government has expressed “deep regret” over the fatal shooting of a Tyrone man 21 years ago, but declined to formally apologise. The British Army knew within hours that the bombing the McGurk’s Bar in 1971 was a loyalist massacre of innocent Catholics and not an IRA ‘own goal’ as it claimed at the time. 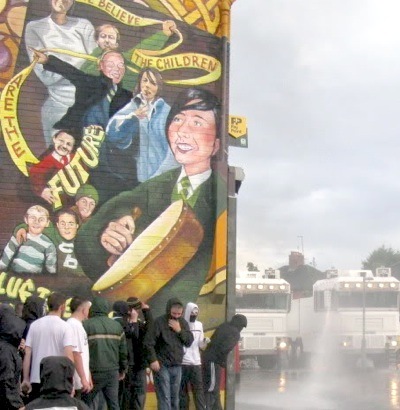 A north Belfast primary school has been targeted by loyalists for the second time in two weeks. eirigi general secretary Breandan Mac Cionnaith has slammed what he described as yet another example of political policing by the PSNI following the arrest of a second man in connection with Massereene attack. 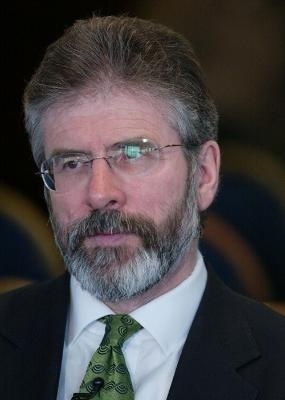 Sinn Fein President Gerry Adams has denounced critics who have questioned his continued leadership of the party and its new political direction. Sinn Fein President Gerry Adams has warned that if the report by the so-called ‘An Bord Snip Nua’ is implemented, its proposals would have devastating social consequences. 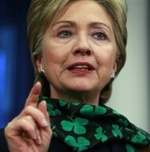 US Secretary of State Hillary Clinton could visit the north of Ireland in September in the role of peace envoy, it has been revealed. A former member of Sinn Fein’s ard chomhairle [high council] has become the third councillor to quit the party in the 26 Counties in recent weeks. Sinn Fein has clashed with rival republican groups following allegations that so-called ‘dissidents’ were behind last week’s riots in north Belfast. An East Derry politician has sent an “urgent message” to the 26-County ‘Department of Foreign Affairs’ seeking an immediate meeting following an apparent split within the unionist paramilitary UDA. A 13-year-old boy was among a number of people injured by plastic bullets fired by the PSNI during Monday night’s clashes in north Belfast. 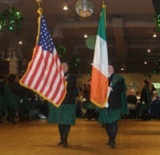 An increase in the number of sectarian attacks against Protestant homes and institutions has been condemned. A County Tyrone man on the verge of bankruptcy has said the PSNI police offered him two hundred pounds to “set up” a prominent dissident republican. 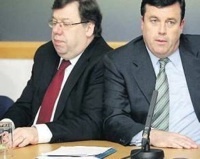 An official report for the Dublin government has laid out recommendations for one of the biggest planned cutbacks in the history of the 26 County state, urging 17,300 public sector lay-offs and over five billion Euro in cuts. 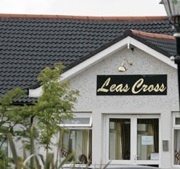 Outraged relatives of elderly people who died in the care of Leas Cross Nursing Home have dismissed an official inquiry in to the scandal as a whitewash. Serious disturbances have continued in north Belfast and other areas of the North following intense parades-related conflict on Monday evening. 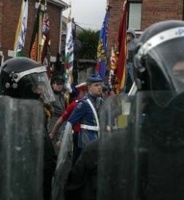 Trouble has erupted tonight over loyalist parades in at least thre nationalist area across the North. The UDA in north Antrim and Derry have further cranked up tensions in the area by announcing their withdrawal of support for the police and political institutions. Prominent republican Colin Duffy was attacked by prison warders at Maghaberry Prison earlier this week, according to his family. The American chef who served as an international scapegoat by the PSNI Special Branch for the infamous Castlereagh break-in of 2002 issued a ‘put up or shut up’ ultimatum to PSNI police chief Hugh Orde this week. A string of sectarian attacks has seen five Catholic churches paint-bombed and a car burnt out at a Gaelic sports club in the North Antrim area. A letter from the unionist paramilitary UDA has warned “foreigners” to leave the “Queen’s country” by Sunday. The second referendum on the Lisbon Treaty is to be held on Friday, October 2nd, the 26-County Taoiseach has announced. The case against a former chef sought in connection with a break-in at a top British Crown force base in the North of Ireland collapsed today after seven years when prosecutors said he could not receive a fair trial. Decommissioning claims this week by the two main unionist paramilitary group are being treated with scepticism in the absence of any direct confirmation from Canadian General John de Chastelain. A coat-trailing sectarian parade by the Protestant Orange Order was delayed on Saturday while British Army bomb disposal experts removed a number of suspicious devices. 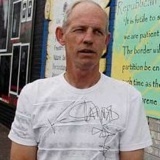 PSNI brutality at a checkpoint in the Eniskillen area has been condemned. A protest against an event at Belfast City Hall to mark British Armed Forces Day was prevented from entering the city centre on Saturday by scores of riot police. Tensions continue between Sinn Féin and the DUP over the devolution of policing and justice, the handling of the Stormont budget and a host of other issues.